In the wake of its acquisition of KleinBank, Old National Bank announced a new slate of executives to lead its operations in Minnesota. 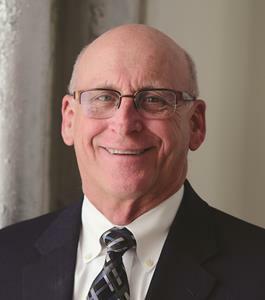 Jeff Hawkins, Minnesota Region CEO for the Evansville, Ind.-based Old National, announced that he will retire in January to spend more time to his family. Hawkins spent most of his 38-year banking career with St. Paul, Minn.-based Anchor Bank, which Old National bought in 2017. He began his career with Anchor as the West St. Paul charter president in May 1995 when the bank had five charters and roughly $250 million in total assets. Jim Collins, commercial banking executive for Minnesota, will take over as the state’s regional CEO. He has 22 years of financial industry experience and also joined Old National as part of the Anchor acquisition. A former non-commissioned officer in the U.S. Marine Corps, he has a finance degree from the University of St. Thomas, St. Paul. Margaret Murphy, credit officer for the Minnesota region, will be promoted to regional chief culture and credit officer. She joined Old National as part of the Anchor Bank deal and has over 30 years of finance industry experience. A Twin Cities native, she has an MBA from the University of Minnesota, Minneapolis, and a bachelor’s degree in cconomics from the University of St. Thomas. Matt Klein, KleinBank’s president, will take on the role of consumer banking executive and will also serve on Old National’s corporate consumer banking steering committee. He has 22 years of finance industry experience and has a bachelor’s degree in business administration and an MBA from Bryant College, Smithfield, R.I.